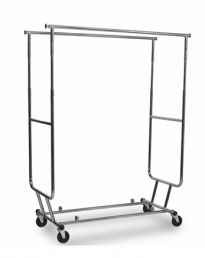 Straight single rail and double rail clothing and garment racks. 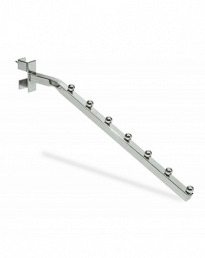 Choose from a variety of styles to suit your need. 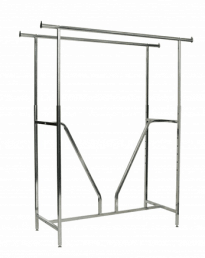 Straight Clothing Racks For Retail & Commercial Applications. 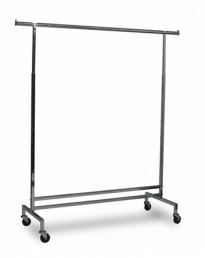 Single and double rail clothing racks suitable for a variety of uses: the retail display floor, market stalls, stock rooms and warehousing. 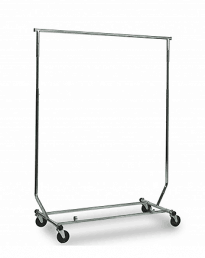 Heavy duty garment racks, some with adjustable height and length. 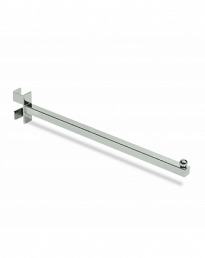 With a huge range and choice of styles, you will find the straight clothing rack that suits your style and use. 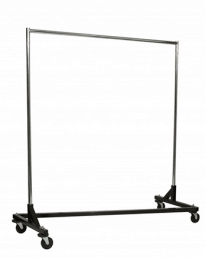 Single straight racks come standard with castors/wheels, double rail racks can have castors added as an option. 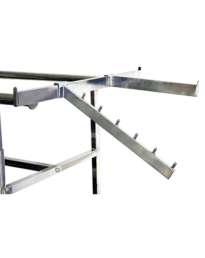 You can also customise your rack with add/twist on waterfall arms, face out arms, extra hanging levels and a basket rack topper on our double bar rack.